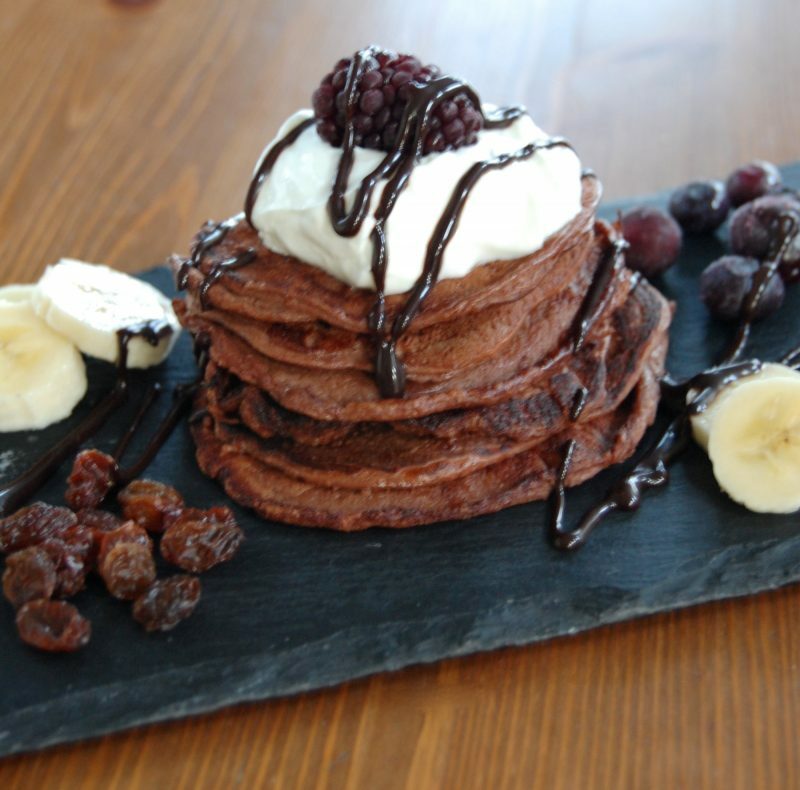 After making a video for my Greek Yoghurt Healthy Pancake Recipe I thought it was time to make a protein version of the pancakes.. a chocolate protein version for that matter! And you can [click here] to see the recipe in action! I have a few healthy pancake recipes already on my blog, and you may have already tried my ‘American Style Banana Protein Pancakes’ .. this recipe however is for all of you non-banana lovers (please excuse the banana on the side of the pancakes as shown in the pic!!) as I have used yoghurt instead of banana to add moisture! The entire pancake batter comes in at under 250 calories and provides a whopping 45g of protein – more if you include extra yoghurt as a topping, which is great for muscle-repair and leaving you feeling fuller for longer. 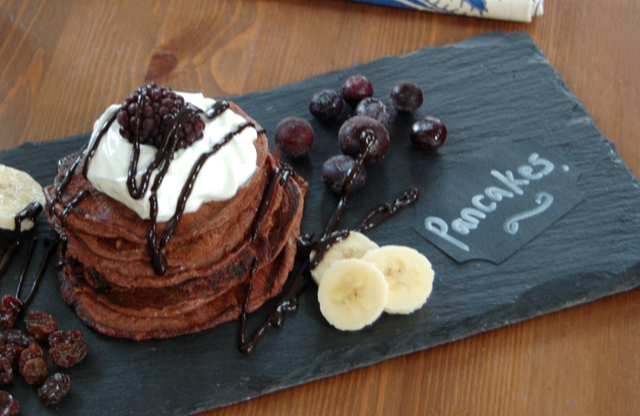 Who says pancakes are just for pancake day?? NOT ME!! Enjoy :). Add all of the ingredients into a bowl (apart from the oil and toppings) and whisk together with an electric whisk. Heat some coconut oil in a pan until hot and pour in some of the mixture to make a round pancake. Cook on each side for a couple of minutes until the batter turns into a pancake (use a large spatula to turn the pancakes over). Add the pancake to a plate and repeat for the rest of the mixture. Serve your pancake stack with extra yoghurt and berries and enjoy! Nutrition stats are for the whole batter (serves 1). Tried these beauties this morning. Absolutely amazing! Added a little bit of milk as the mix was rather thick. I found it.difficult to eat them all as they were so filling! Will having them again. Thanks Nic!